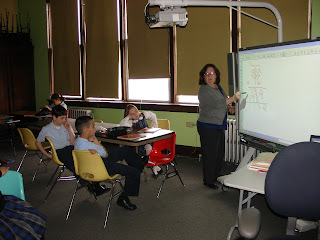 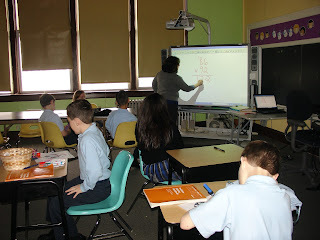 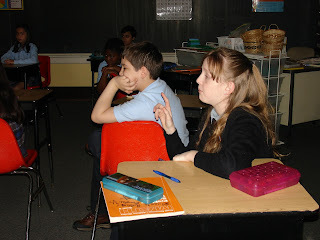 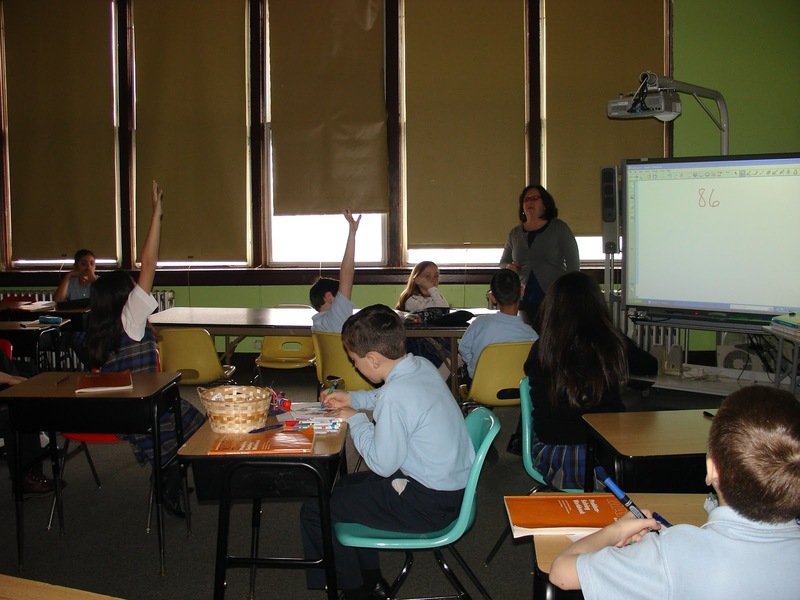 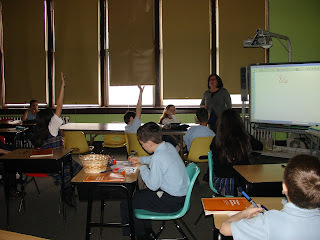 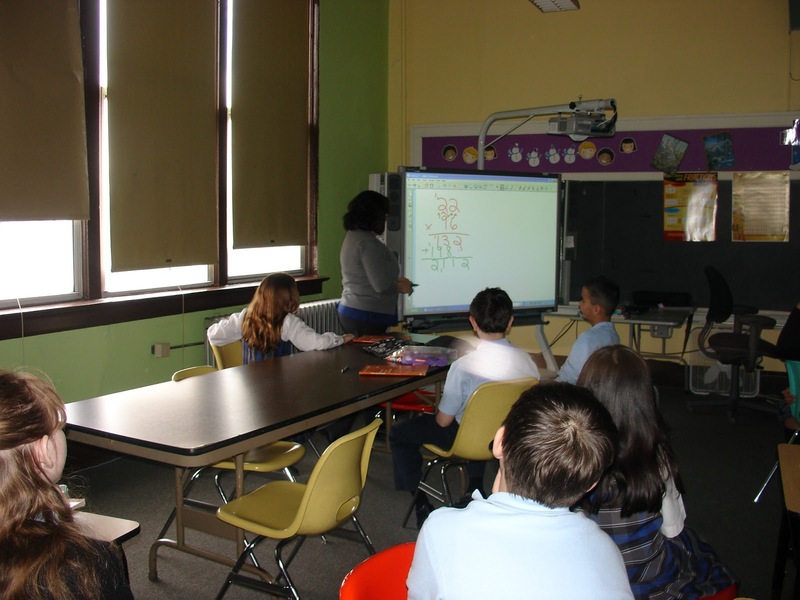 Mrs. Laico used the smartboard to review 1 digit by 2 digit multiplication with Fourth Grade. 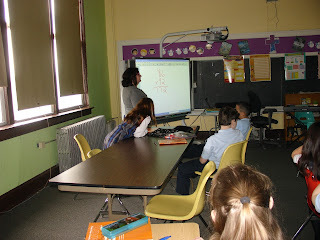 Then they explored 2 digit by 2 digit multiplication. 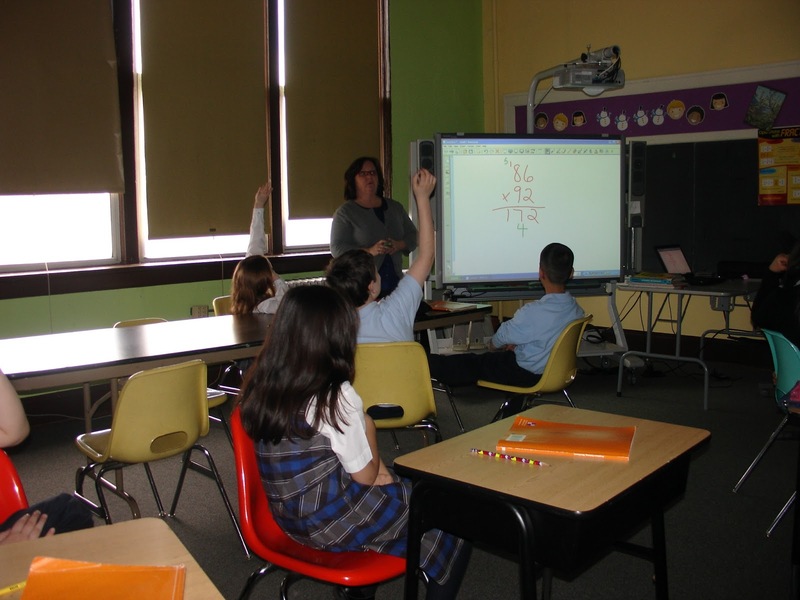 Fourth Grade had much success at solving algorithms and is looking forward to challenging themselves to multiplication of 2 digit by 3 digit numbers.